Often a report is submitted to a manager in the printed form, and in this case, the consideration tasks are not very informative, since there is no name of the considered document. For the name to be shown, you need to change the standard report. Since you cannot edit system reports, you need to create a copy of this report. The task name is defined in TaskBase.Subject, since you need to change the name only for the consideration task, use the CASE expression. 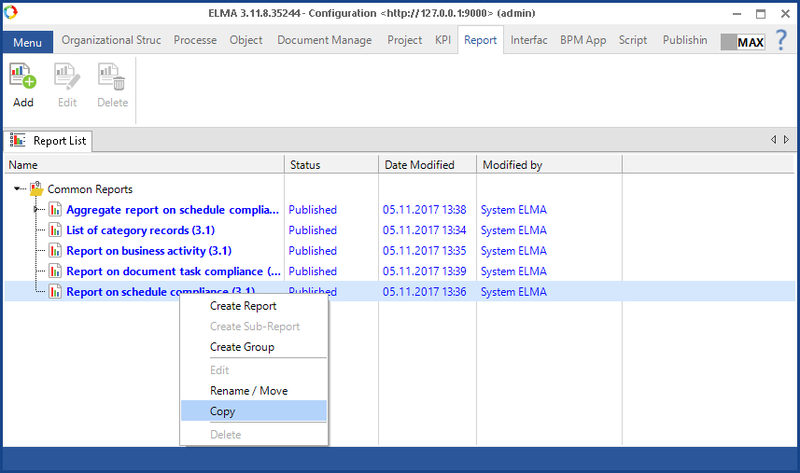 The system checks if there are consideration tasks; if yes, the document name from the DMSObject table is added to the task name.